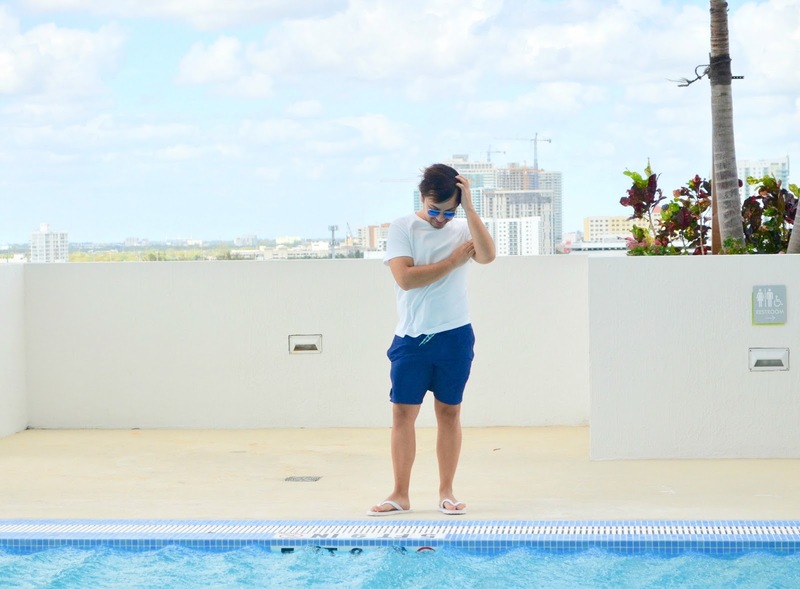 Resisting refreshing beaches and pools! While weather temperatures are below freezing and there's snow outside your window, there's nothing else to think of, then to go somewhere nice and warm for a couple of days. 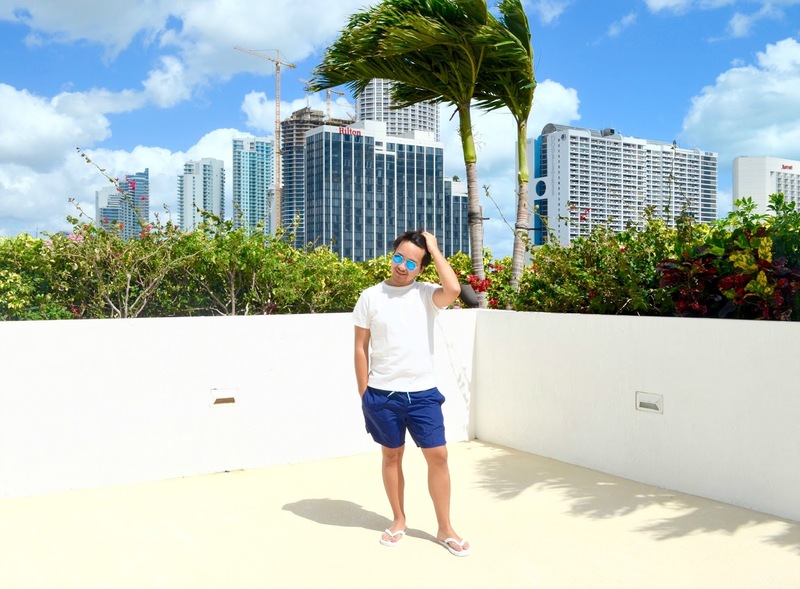 And that's exactly what I end up doing, and this time, I headed to Miami! 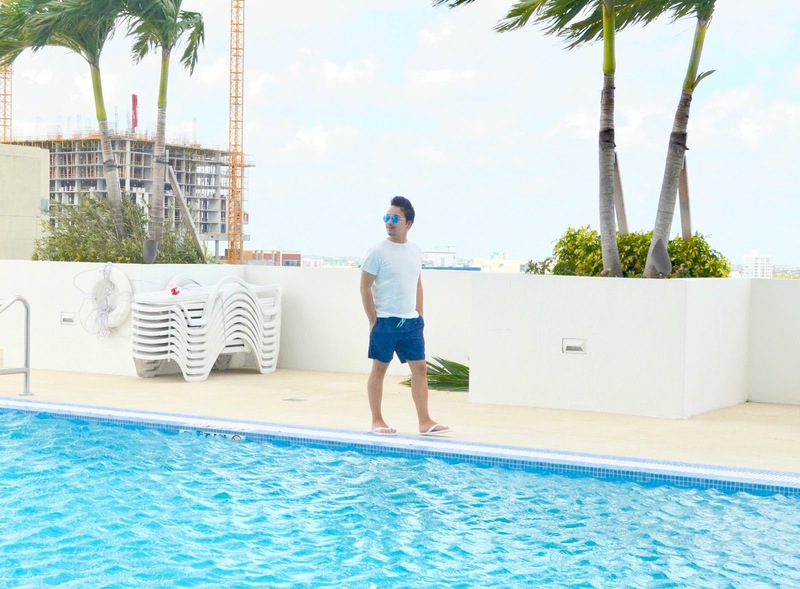 In Miami, resisting jumping in the nice blue beach water and refreshing pools can be challenging because let's be honest, you can't do that when the beach and pool water is freezing cold and most of it cover with ice. 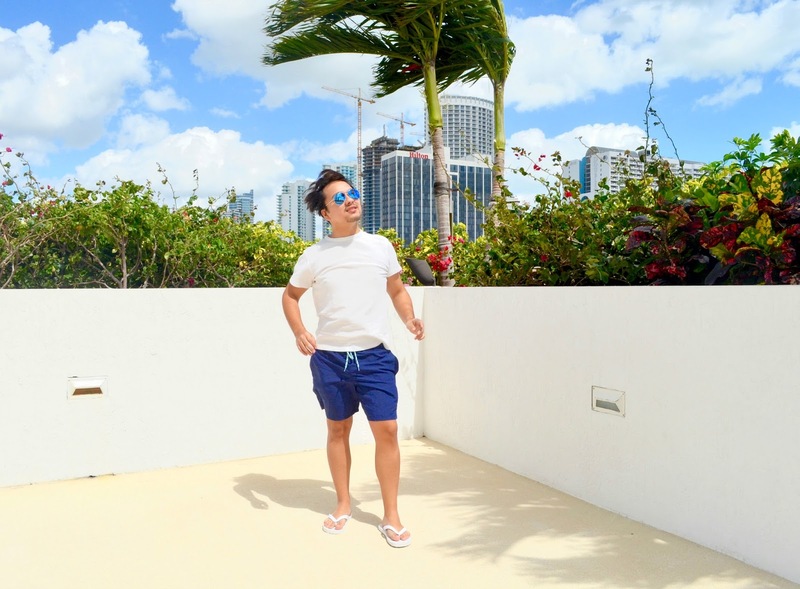 During my weekend getaway in Miami, not only I got to enjoy warm sunny days, but I also tried on some new summer trends, which I'm excited to try on more of them during the real summer season. 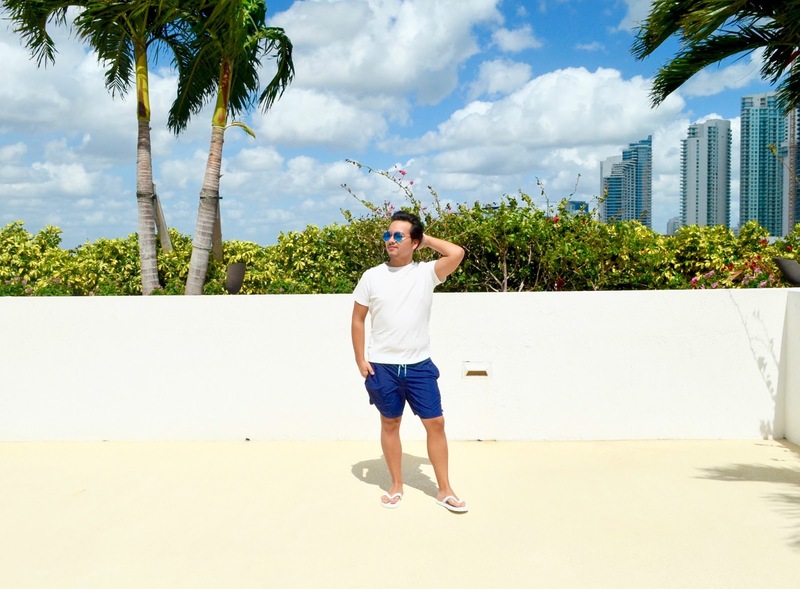 For this outfit look editorial, I decided to keep it fresh and very, very summery. 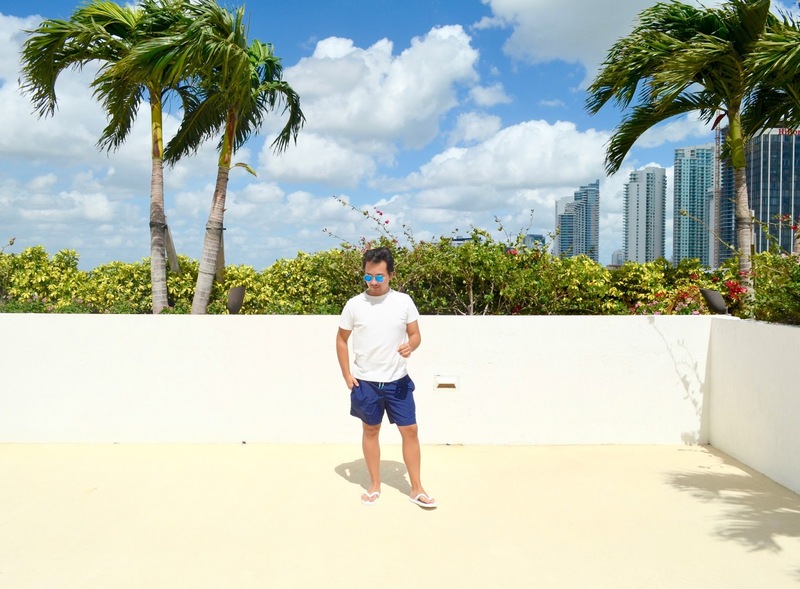 Before I headed to Miami, I stole this fresh knitted white T-shirt from my brother, because it looked fresh and breathable, and honestly, it really was. I also purchased this new pair of navy blue shorts from Target. Of one the things I love about these shorts, is the fact that they took like casual shorts, even though they are actual swim shorts. 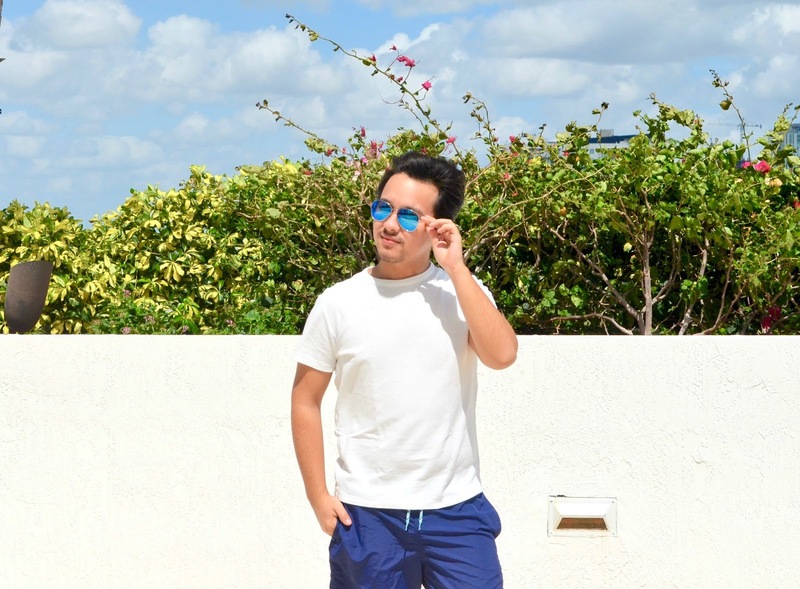 Which make them perfect to head out around town, but yet, you are ready to jump in a pool or head to the beach at any moment. Here's a little secret about me, I haven't wore flip-flops in years, to the point that I didn't own a pair till this trip. But I wanted to tried on some new summer trends, and surprisingly, flip-flops are back in season. I made a stop at Old Navy because they were having a sale on flip-flops, and I got myself four pairs of them, because why not! 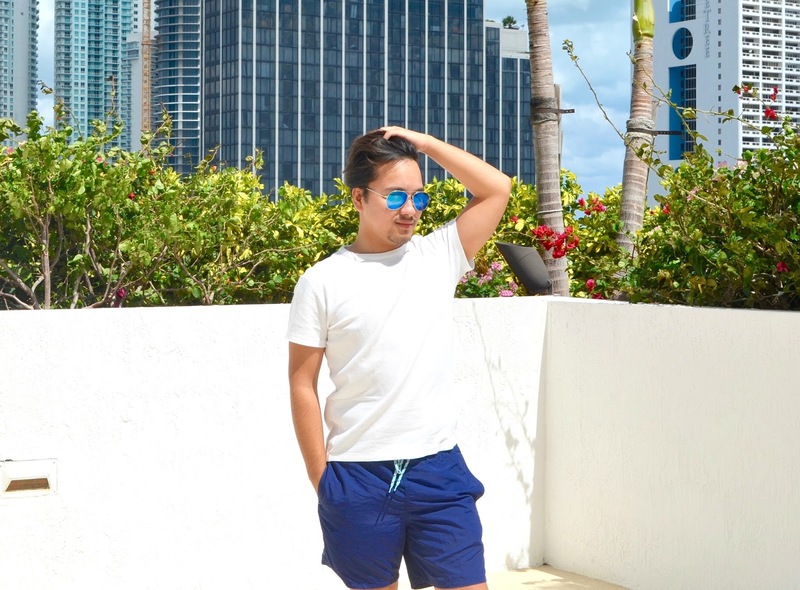 For this outfit look, I wore a pair of white flip-flops to match the white T-Shirt, and to match to the blue shorts, I wore a pair of blue sunglasses, because we have to protect our eyes when it comes to very warm sunny days. That's all for now, hope everyone enjoy this post, and I'll see you all in my next post!